Their music floats effortlessly between hip-hop, UK garage, dubstep, techno and more. Brilliant use of field recordings, sample looping and organic ambiance also give them a more visual edge that’s reminiscent of shoegaze, post-rock or film scores. Critics and fans have been calling them post-dubstep and some have credited them as pioneering a sound known as future garage. Gorgeous unimposing synthesizers gel perfectly with deep basses over tightly wound, syncopated beats. Unlike much of today’s sub-standard beat music, Mount Kimbie have a tremendous handle on melodic structure and direction to complement their chilled-out, inspired grooves. Critical acclaim has followed Mount Kimbie from their first EP release just two years ago. Last year’s Crooks and Lovers LP appeared on over 30 different Best Albums of 2010 lists. Even though they are not a DJ group and perform their music as Live PA sets with instruments, they recorded a mix for the prestigious Resident Advisor podcast that unveiled an unreleased track. 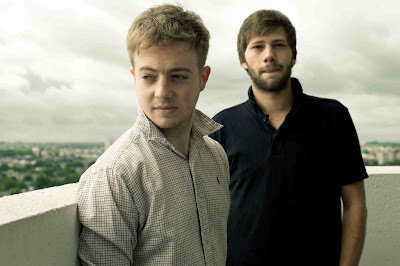 Mount Kimbie will be touring the United States this September and recently had some fantastic performances at this year’s Coachella and SXSW festivals. On June 27th the group will be releasing Carbonated EP which will feature two new tracks and a couple remixes of older tracks.